This level is has hard difficulty and you need to break all jellies that are in left part of the board. For this level you should avoid breaking candies on left part of the board. Play on right part of the board and use special candies. After moon struck jellies with candies on left part of the board will break automatically. 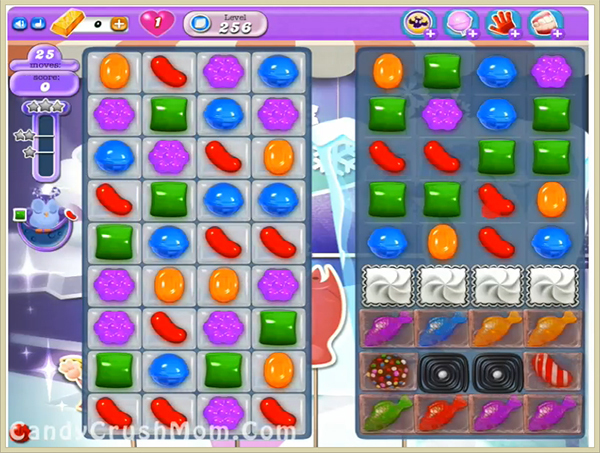 Then try to use colorbomb with striped candy combo or other special candy to complete this level. We completed this level with 96940 score using same technique that we posted above and got three star score at the end of the level. thanx for d tips hope i can move on in this level. patient patient patient….